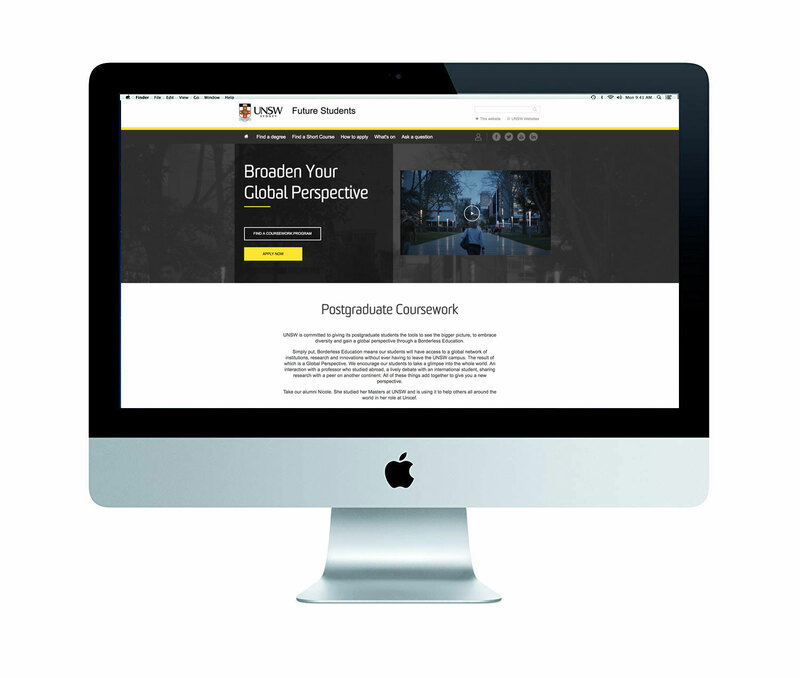 Integrated campaign for UNSW designed to drive acquisition of postgraduate students by leveraging its significant network of global institutions and partners. The campaign offers students a global perspective through a borderless education. UNSW postgraduate students have access to a global network of over 200 institutions across 39 countries, ensuring they remain at the forefront of international research, learnings and innovations without ever having to leave the campus.